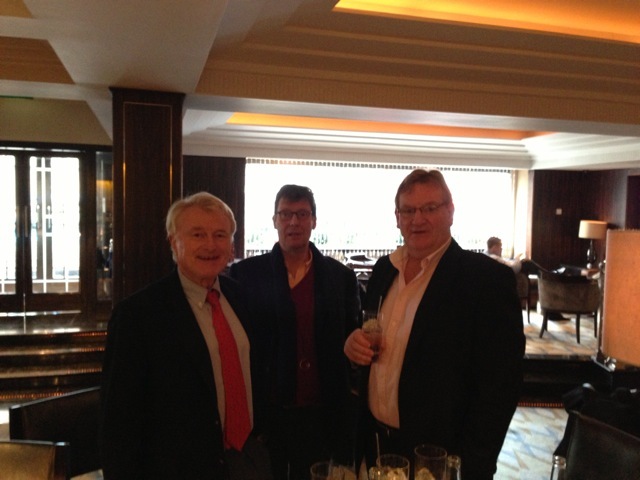 Three well known Tweed Rods: Messrs David Lockhart, Edward Davies and Tim Catterall having been flooded off The Tweed on opening day; took solace in The Polo Bar at The Westbury (London) and raised a glass to all Tweed Fishermen in the hopes of “Tight Lines” for the season. Rivers dropping nicely now boys, so here’s to seeing you soon. Cheers!